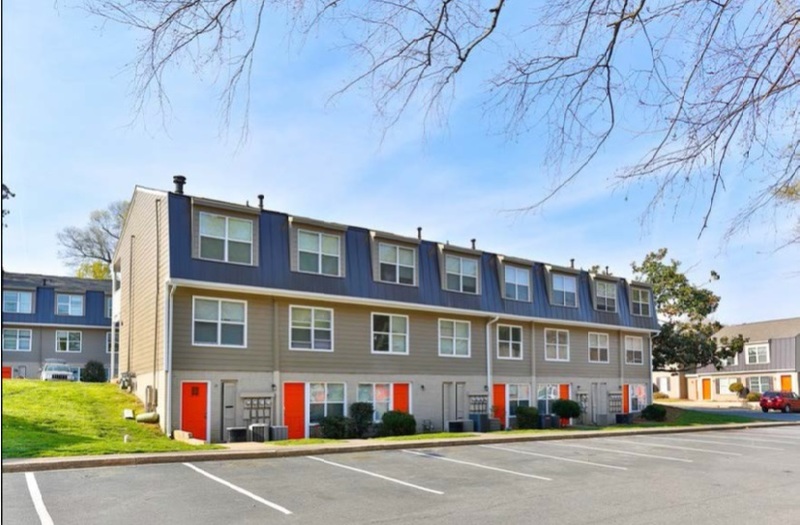 Inland Mortgage Capital (IMC) recently closed a $10.6 million non-recourse bridge loan on a 155 unit multifamily asset located just east of the Charlotte CBD. The loan represents 73% of the stabilized Loan-To-Value, but significantly higher in comparison to the “as is” Loan-To-Value. The loan proceeds provided funds to complete the acquisition and facilitate the interior and exterior renovations. The Borrower was buying the property from a Seller who had mostly vacated the property and had commenced the rehab. Various challenges plagued the rehab efforts by the Seller and minimal units were in market rent condition at the time of closing. Accordingly, the transaction went thru multiple adaptations between the application and closing. IMC increased the loan amount to allow for unforeseen additional renovation work and, structured the future fundings to adapt with the evolution of the transaction. The Charlotte, North Carolina multifamily market is showing continuous growth outwards from the CBD. Upon closing, the property was 51% occupied with only 11% of the units in market rent condition. IMC demonstrated the flexibility and certainty of closing to allow the Borrower to move forward on a transaction that should prove to be a great opportunity.